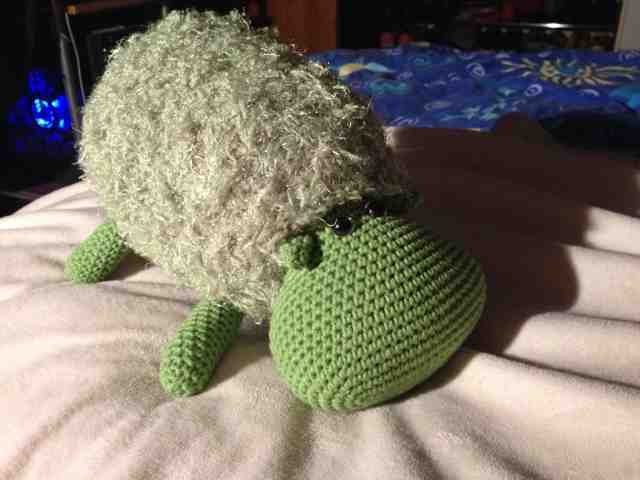 Crafty Bikyclist: Where is the green sheep? 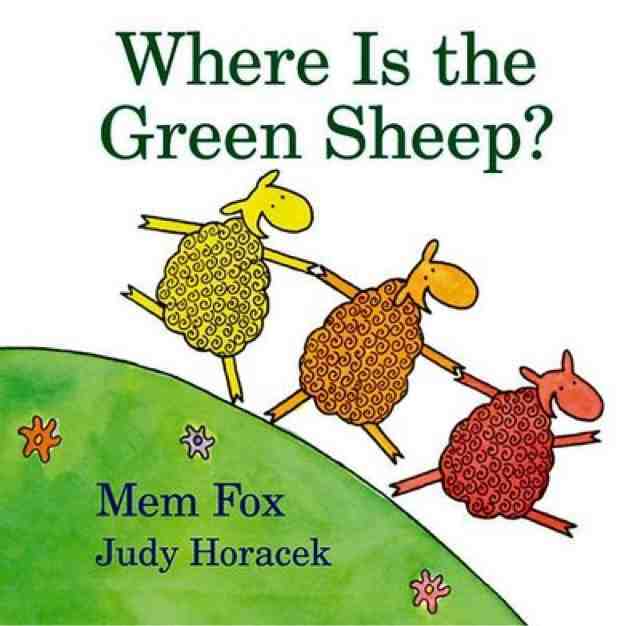 And I decided I wanted to give her/baby a copy of Where is the Green Sheep by Mem Fox - a gorgeous storybook kids love - and since she's a kids librarian, she knows its adorableness. I made up an interesting oval thing for his nose, it took me a few goes to get it right - and I doubt I could replicate it even if I tried haha. 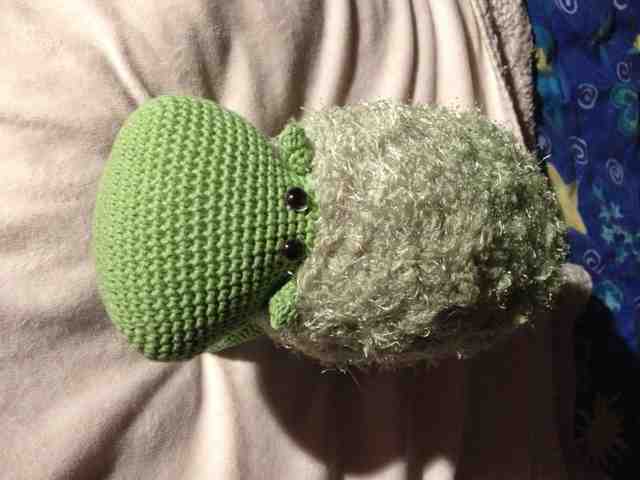 He doesn't stand up, but that's cool - he's soft and squishy and likes to dance to the songs from Tangled. 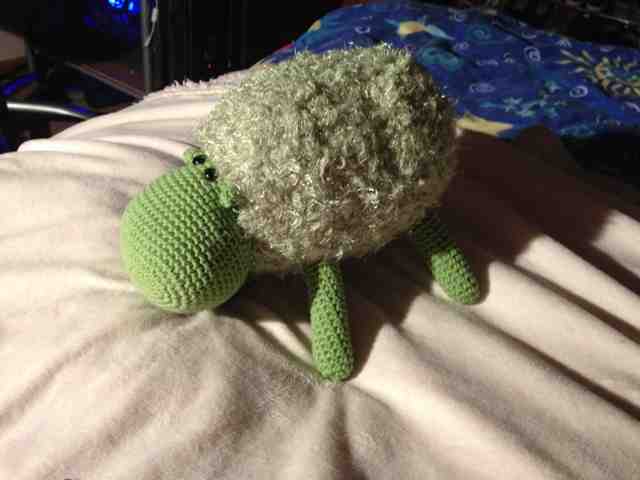 I'll take another photo tomorrow, cos the wooly part of Green Sheepy looks washed out in these photos!